(CBS/AP) MADISON HEIGHTS, Mich. - The Applebee's restaurant chain says it's changing the way it serves juice after a toddler was mistakenly given a small amount of alcohol at a Detroit-area eatery. 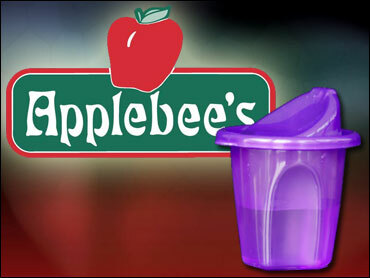 Starting Tuesday Applebee's will pour juice for children from single-serve containers at the table. Applebee's also plans to retrain its workers, reports The Detroit Free Press and The Detroit News. Madison Heights police say the drink mislabeled as apple juice was actually a leftover mixed drink combination. Fifteen-month-old Dominic Dill-Reese's mother ordered her son a kid's meal and asked for apple juice to accompany the meal Friday afternoon. Dominic was checked out by doctors, and the family was told the child's blood alcohol level was .10 percent. That's over the legal limit for an adult driver. Dominic is expected to be fine.